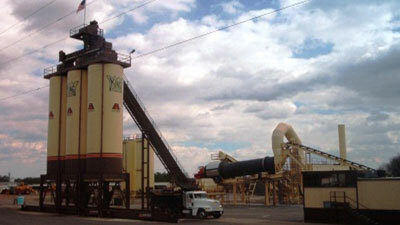 King Asphalt proudly operates three ASTEC asphalt plants. Strategically located, it is possible to supply the upstate of South Carolina with minimal travel time. The Liberty plant is located on US Highway 93 just outside of Liberty, SC and it is about a twenty minute drive from I-85 in Anderson. 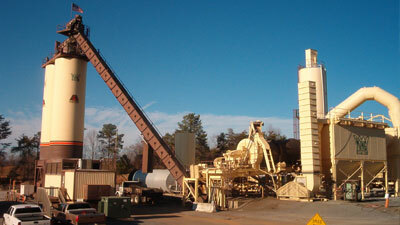 This plant can produce 450 tons of hot mix asphalt hourly and has the capability to store 600 tons in its two silos. The ASTEC plant in Simpsonville is capable of producing over 500 tons of hot mix asphalt per hour and has a storage capacity of approximately 900 tons. The plant is located near the intersection of I-385 and the Southern Connector on Old Stage Road, and is about five minutes from I-85 in Greenville, SC. The ASTEC plant in Pacolet is capable of producing over 400 tons of hot mix asphalt per hour and has a storage capacity of approximately 400 tons. The plant is located just off Highway 176 on West Main Street in Pacolet, S.C. and is only 19 minutes from I -85. The Pacolet plant serves Cherokee, Union and Spartanburg counties.